With the average age of boaters now 58 and increasing annually (age I mean, not weight), our tastes in cruiser design is more akin to the maturing of one’s palette for fine wine. 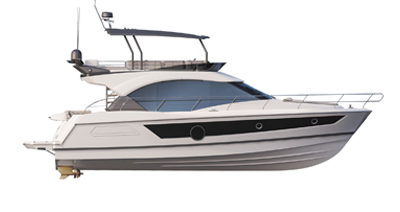 Hence the appeal of Beneteau’s new Swift Trawler 47, with wide walkways forward, well-placed grabrails overhead, and expansive room onboard for grandkids or places of solitude from each other — the kind of space necessary after a heated exchange about a missed channel marker. Just kidding, dear!